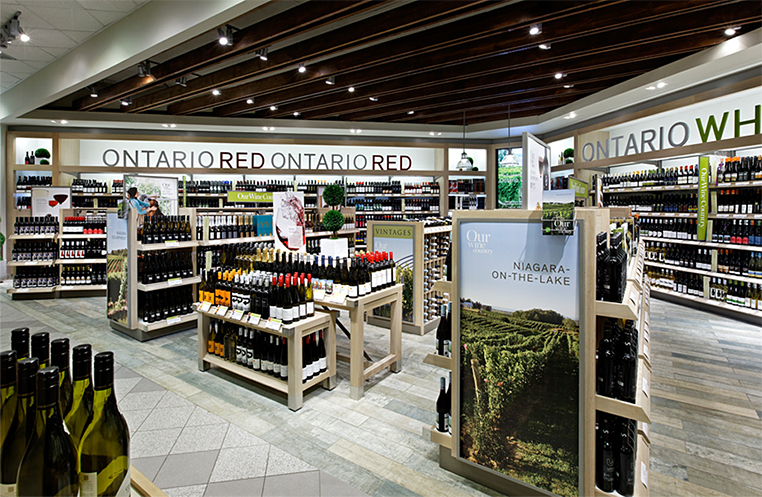 Envisioned to raise the profile of Ontario's diverse wine regions, appellations, varietals and styles, the LCBO's Our Wine Country Ontario boutiques feature local wines from large volume to small artisanal wineries in an environment that recreates a visit to wine country. 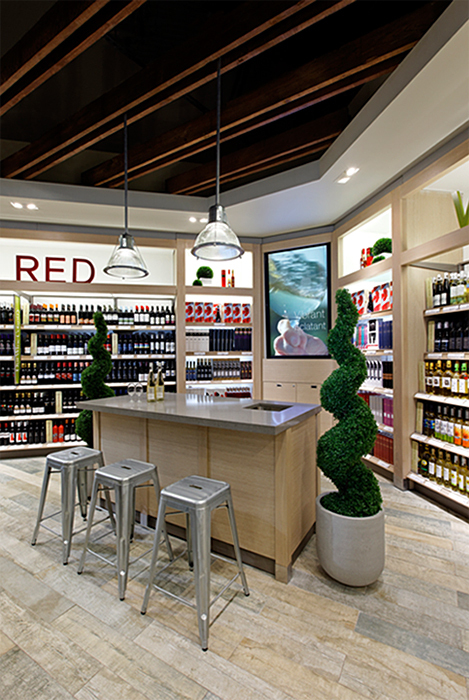 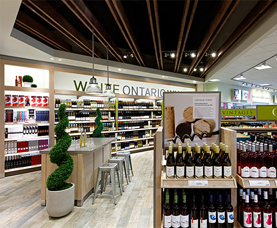 The boutiques have been designed as scalable shop-within-shop environments that can be seamlessly integrated within the LCBO's established brand. 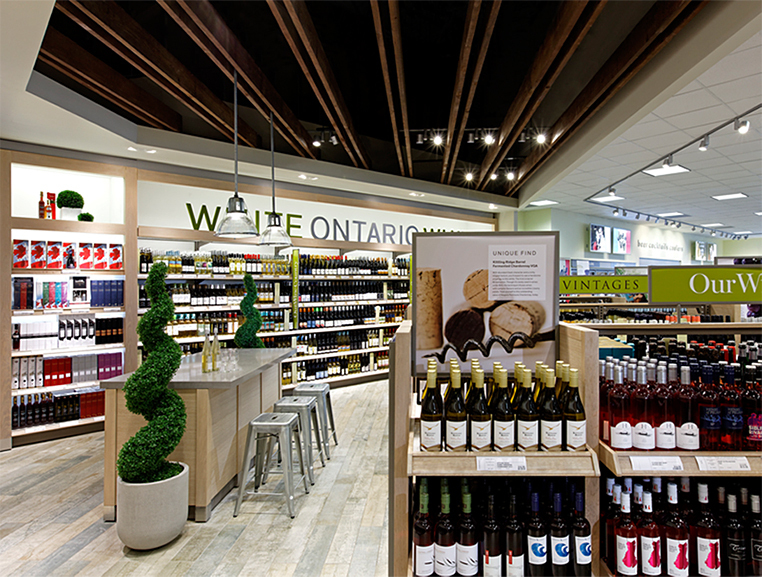 Inspired by the relaxed look and feel of weathered harvest barns, signature design elements include open ceilings with rough-sawn wood baffles and planked porcelain-wood flooring. 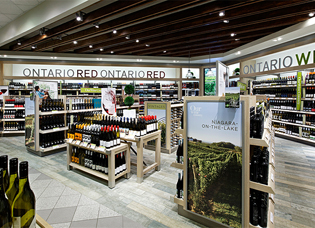 A tasting table complete with seating and a digital screen showcasing winemakers and wine country, encourages customers to take more time to explore and sample local products. 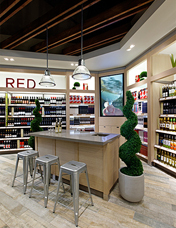 © 2017 Fiorino Design Inc.